Charter President Dr. Paul Dufour delivers the oath of office to President Kate Dame. 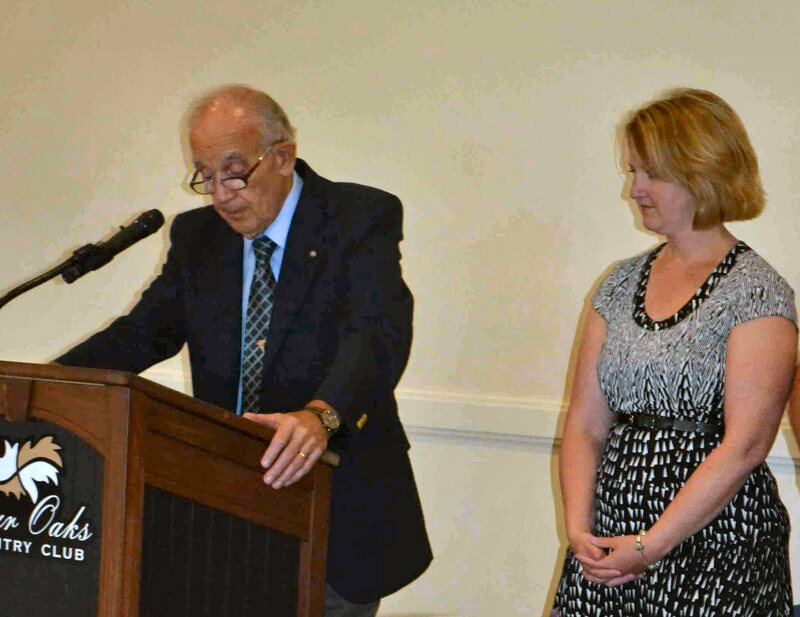 Dracut Rotary Club members, family and friends gathered recently at Four Oaks Country Club for the installation of the Club’s 2013-2014 officers. Charter President Dr. Paul Dufour was on hand to administer the oath of office to the Club’s newest president, Kate Dame. A member of the Club since 2005 and past treasurer, Kate is Vice President of Branch Administration for Jeanne D’Arc Credit Union, overseeing the six branch offices. She is a graduate of University of Mass Amherst with a bachelor’s degree in education. “I’m hoping to improve fundraising efforts by introducing new events such as a talent night,” said Kate. She is also planning on hosting quarterly cocktail parties to enhance fellowship and boost membership. 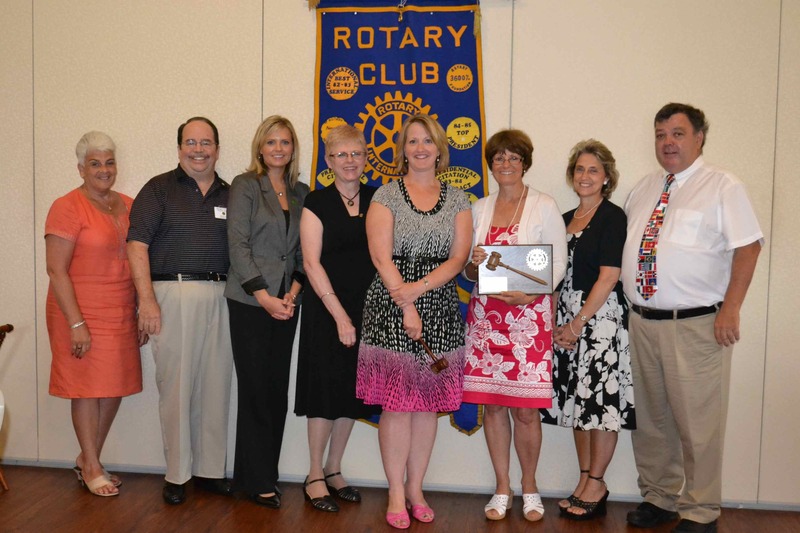 Newly installed DRC Officers (l to r) Lee Ouellette, Pete Clark, Gail Goossens, LouAnn Jendro, Kate Dame, Kathy Boyd, Sue Neary and Chuck Moran. Also installed were Club Secretary Susan Neary, Treasurer Chuck Moran, Sergeant at Arms Lee Ouellette, and Board Members Peter Clark, Gail Goossens, Dorothy Ambrosini, LouAnn Jendro and Kathy Boyd.